You are here: Home / Mens Health / Does Having Male Pattern Baldness Increase My Risk For Prostate Cancer Death? 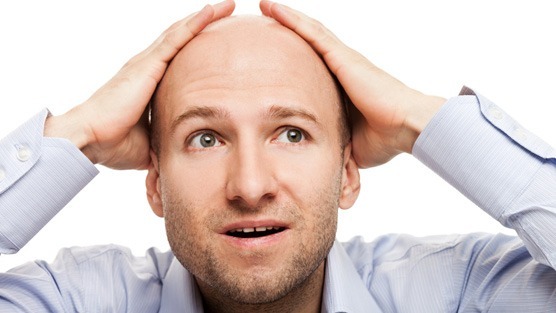 For years, several studies have repeatedly linked male pattern baldness to an increased risk for prostate cancer. This association makes sense as hormones called androgens play a role in both hair loss and the development of prostate cancer. Additionally both conditions are also recognized as having genetic origins to a certain degree. Despite the association, many health experts still agree that the main risk factors for prostate cancer consist of advanced age, family history, ethnic background and genetic mutations. According to a recent study conducted by The National Cancer Institute, researchers found that men with any varying degree of male pattern baldness had an increased risk of dying from prostate cancer. Using male pattern baldness as a proxy for long-term androgen exposure, Dr. Cook and his colleagues studied PCa-specific mortality and extent of baldness in 4,316 men aged 25–74 years from the National Health and Nutrition Examination Survey Epidemiologic Follow-up Study (1971–1974). Of 3,284 deaths occurring during 21 years of follow-up, 107 were due to PCa, according to results. Co-author Cindy Zhou also said that it is not yet time to recommend screening tweaks based on their study findings. She adds that they will need more research to replicate the results.Their results however do help to raise an important point that supports the role of biological mechanisms in both balding and prostate cancer. According to Cook and his associates, more research is required in order to identify the relation between prostate cancer and distinct patterns of baldness. The research team’s findings were published in the American Journal of Epidemiology.